Congratulations to Alexandra Halsey-Storch, Esq. for being highlighted in LIBN’s, “Who’s Who Women in Professional Services“ special section. Ms. Halsey-Storch is featured alongside some of Long Island’s most innovative and talented business women from various industries on Long Island. Alexandra Halsey-Storch has a general practice with a concentration in all aspects of matrimonial and family law including divorce, child custody, support and family offense proceedings, as well as the preparation and negotiation of pre-nuptial and post-nuptial agreements. Halsey-Storch’s other areas of practice include real estate transactions, land use and zoning matters, and civil and estate litigation. Halsey-Storch is dedicated to providing pro-bono representation, and works with, among other organizations, The Retreat, Inc., a not-for-profit domestic violence center in East Hampton, providing representation to victims of domestic violence in matrimonial and family law matters. Ms. Halsey-Storch enjoys helping individuals and businesses with their legal needs and has a particular passion for all aspects of matrimonial and family law, including drafting and negotiating pre-nuptial agreements, and when necessary, litigating issues of custody and visitation, spousal and child support, and equitable distribution. “Often these situations are emotionally charged, especially when children are involved,” Halsey-Storch noted. Halsey-Storch works to understand each client’s situation and stays alert to needs and sensitivities. While offering sound legal advice, she works to move matters forward with an eye on closure and helping clients begin a new chapter in their lives. 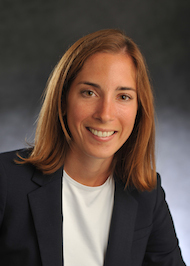 Ms. Halsey-Storch is admitted to practice law in the State of New York. She is a member of the board of trustees of Rogers Memorial Library; a member of the board of directors of New Hope Rising; and the Suffolk County Bar Association, New York State Bar Association, and Matrimonial Bar Association of Suffolk County.